6 oz. 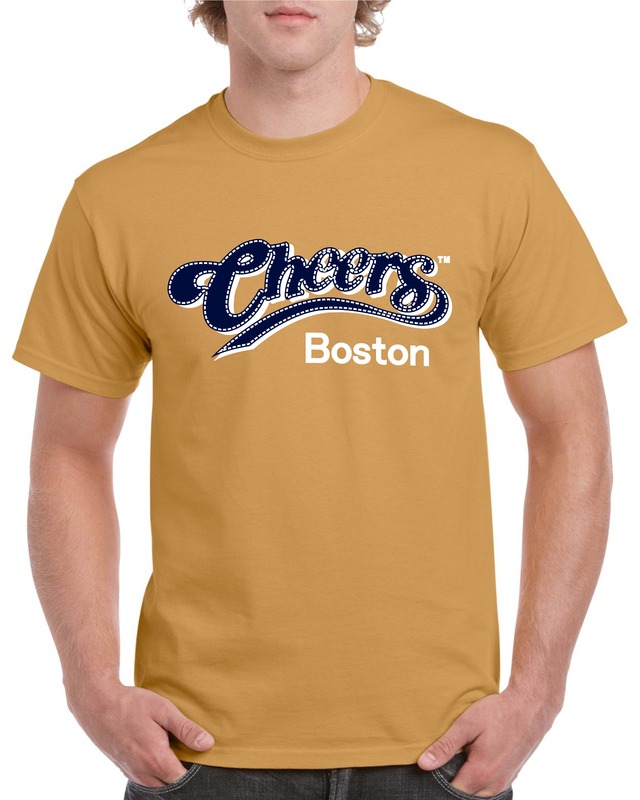 Ultra-Cotton T-shirt in a Dark Chocolate Brown color with fantastic screen-printing on the Front AND Back. 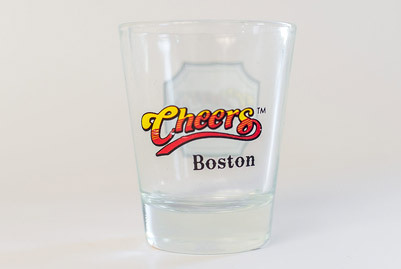 "Cheers Boston" logo on the left, front chest is "Distressed/ Antique Crackle" with black shadowing. 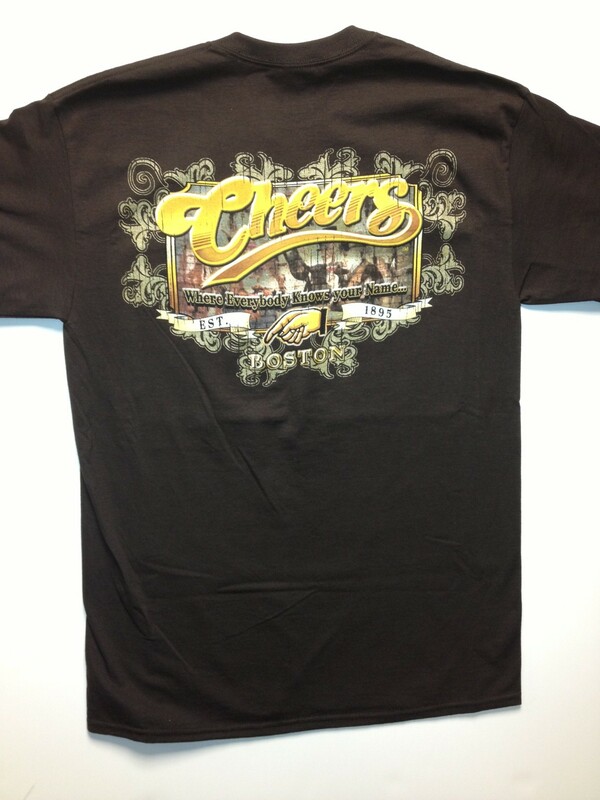 The Back of shirt features a full size "Cheers" logo and an old fashion scene of people toasting. 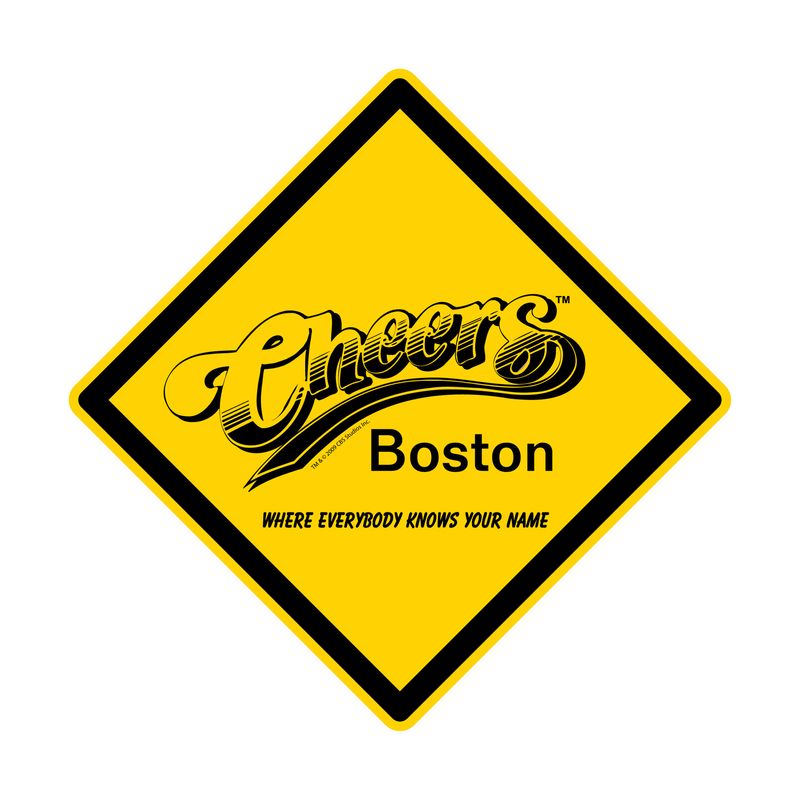 (from the opening credits) Gold Sparkle scroll-work accents and out famous slogan "Where Everybody Knows your Name..." finish out this great T-Shirt.